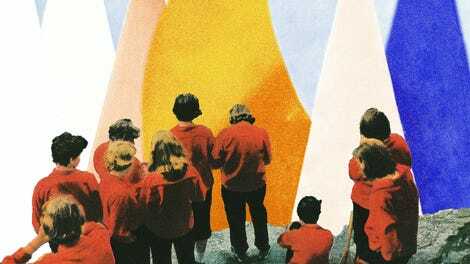 Even more than its predecessor, Alvvays’ sophomore album, Antisocialites, is defined by its contradictions. The band’s jangly pop isn’t quite as lo-fi as it was before, but that cleaner sound doesn’t always make way for clearer songs. The album bounces between sharp, punchy punk and swooning dream-pop spectacles that are more elusive than anything the band has ever recorded. But Molly Rankin’s voice and blisteringly direct lyrics cut through that Cocteau Twins-inspired haze with ease, a beacon that grounds even the dreamiest of Antisocialites’ songs with delicious wit or disarming introspection. Rather than clashing, those two halves—one romantic and aspirational, one blunt and realistic—sharpen each other and create an album that delivers, and then some, on the promise of the band’s self-titled debut. Rankin doesn’t take long to fire her first delightfully brutal truth bomb. The opening track, “In Undertow,” is directed at an ex who won’t let the relationship go, and from deep within a gorgeous fog of intermingling guitars and feather-light synths, she turns to the camera to say that, when she asked, “What’s left for you and me?” it was really just a rhetorical placation to put the subject to rest. “There’s no turning back after what’s transpired,” she ultimately reasons, calling the whole conversation “so uninspired” in one final twist of the knife. But that strength in the face of a split, a feeling that grows into elation on the breakup-as-liberation anthem “Not My Baby,” turns to doubt once “In Undertow” ends and “Dreams Tonite” begins. Now it’s Rankin who’s wondering if things ended too soon. She lets down her guard and wonders if the twinge of longing she still feels means she’s naive, her voice and the sea of gently throbbing instrumentation around it sounding infinitely more unsure than their opening-track counterparts. That fragility alone would make “Dreams” stand out as one of the album’s most powerful cuts, but by juxtaposing it with the confidence and candor of “Undertow,” Rankin’s vulnerability rings that much truer. When she isn’t singing about breakups, Rankin is tearing into the self-important—or self-defeating—characters around her. This is where the album’s simpler tracks come into play. The reverb disappears, the band perks up, and Alvvays blasts through sugary rock tunes with a cutting edge. “Plimsoll Punks” is a screed against condescending phonies, an eye roll rendered in surf guitar and Rankin’s restrained shouts. On “Your Type,” the band’s manic energy does little to hide the utter disdain the singer feels for her subject. It’s a savage, sarcastic sneer of a song matched only by the bubblegum sweet “Lollipop (Ode To Jim),” in which Rankin seems to repeat an inner mantra—“Alter my state to get through this date”—while stuck dealing with the clingy guy who introduced her to LSD. The frankness of those jabs and their unflattering portraits of universally recognizable, thoroughly hateable characters make Antisocialites’ lighter songs a genuine treat. 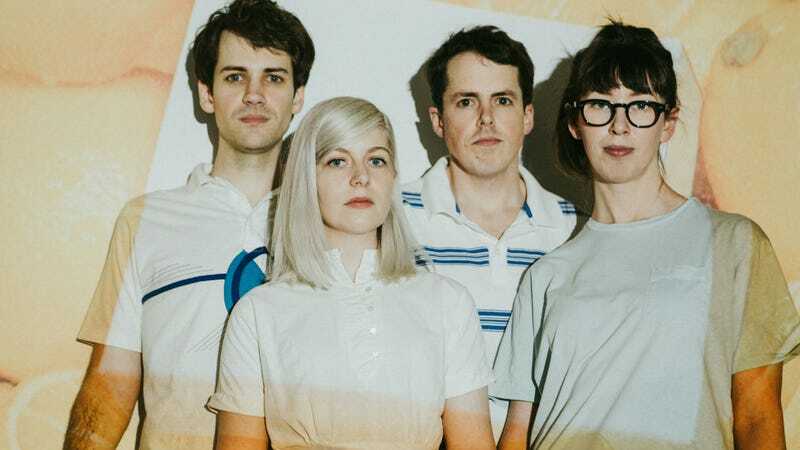 Stripped from context, they may lack the musical heft of the album’s more elaborate tracks, but when interwoven between all the wide-eyed reflective comedowns, these bursts of energy and confidence deepen the emotional truths of the many personalities and states Alvvays is proving itself to be so deft at embodying. Purchasing Antisocialites via Amazon helps support The A.V. Club.